The 21 Campaign: Watch your money go up in smoke! Wiscasset, Waterville & Farmington Railway Museum hasn't added a story. Note: While the $130,000 goal has been reached, contributions to the "21 Campaign" are still welcomed. 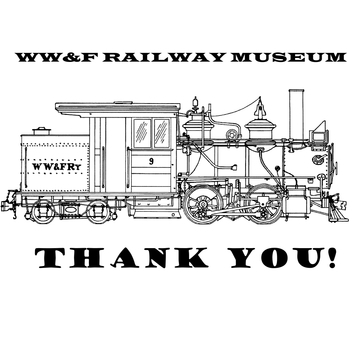 Any moneys not spent from the "21 Campaign" on the boilers for #10 and #11 will roll into an account to complete the reconstruction of WW&F locomotive 11. 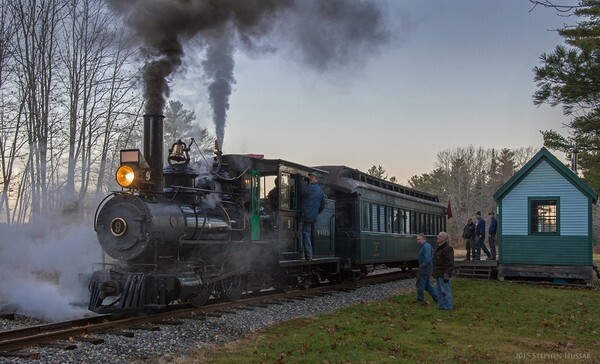 The Wiscasset, Waterville & Farmington Railway, with roots reaching back to 1854 but alive and kicking in the 21st Century, announces its 21 Campaign. The number "21" represents our commitment to both restoring locomotive #10 to service and building locomotive #11, a reconstruction of original WW&F locomotive #7. The goals of today’s WW&F Railway are grandiose and plentiful - consistent with the outlook of the Wiscasset & Quebec Railroad in the mid 1800s. With that in mind, this campaign's goals are to raise funds to construct boilers for locomotives #10 and #11 and build enthusiasm and interest among our supporters and volunteers. Our museum thrives on this principle. Our culture promotes the hands on involvement of our members to identify and rise to challenges. A team effort allows us to stretch our donor's dollars and creates pride of ownership. The effort results in infectious enthusiasm, and greater involvement, allowing us to repeat successful performances and increase their breadth. Perhaps this is best illustrated by the recent return of locomotive #9 to service after 83 years, but those familiar with the museum have seen similar results play out time and time again. Exciting projects like reconstructing the Wiscasset turntable and restoring boxcar 67 are underway. Our success is defined by forward motion; we apply consistent effort to make regular progress on our goals, until those goals are met. When a goal involves a challenge, we meet it. Locomotive #9 in steam for the first time since 1933. During winter of 2015 we discovered manufacturing defects during a routine boiler inspection of locomotive #10. This requires us to build a new boiler for #10. This unexpected news could swing us away from other dreams and plans; it could smother our enthusiasm and bring our forward momentum to a halt. That is not our nature; we rise to challenges, and turn them into opportunities for involvement and enthusiasm. We accept #10’s challenge as an opportunity to hone our tooling and shop skills to assist with boiler construction. Our members will experience this unique work first hand, all while greatly reducing the out of pocket cost. Our chosen goals will continue, on schedule to the best of our ability. We will continue with all of the exciting projects we have in the works. Adopt #10’s new boiler as an additional project. This will allow our volunteers to become familiar with the process of building a locomotive boiler. All 21 Campaign proceeds will go toward #10, until #10 steams again. Proceed with building #11 using the skills and enthusiasm generated by #10. After completing #10’s boiler, building #11's boiler next is a natural progression; all 21 Campaign funds will be directed to #11 once #10 is steaming again. By building #11’s boiler now, the largest and most costly component of #11 will be completed first with far greater control over the process and cost than any other method would allow. Can we do this? Absolutely! "Patience and perseverance" said the late Frank Paul, our museum's first head conductor. Fresh from restoring #9, our active members know what it's like to tackle a major project. During the past 10 years, we’ve seen 24% growth in the number of volunteer hours per year, resulting in tremendous growth in the amount of work accomplished annually. 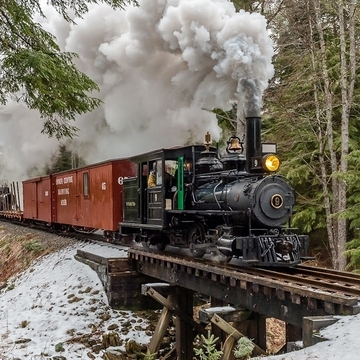 We embrace challenge in the name of rebuilding the WW&F Railway, a piece of Maine history, and continuing its spirit. Drawing of #10, after modifications. goal is to increase volunteer and member engagement by providing a large, challenging, and unique opportunity. In fact, this project has generated so much enthusiasm (even before it was officially launched) that many drawings, patterns, and some parts have already been produced. Additionally, constructing #11 gives us the opportunity to restore a piece of history which was unique to the original WW&F. Due to #11’s small size in comparison to standard gauge locomotives the cost of the entire project is estimated at under $500,000. Because we value authenticity, #11 will be a reconstruction of #7 (built in 1907 by the Baldwin Locomotive Works). Our desire is to represent the era from which the original was born. Rather a replica built using modern construction techniques, #11 will be the direct result of the technology and production methods available at the time of original construction; the details of design and fabrication make up the heart of the machine. With this in mind, we intend to construct an all-riveted boiler for number 11 according to BLW standard practice, with only slight modifications to meet current ASME code. The most important element for the success in the 21 Campaign is your support! Our goal is to raise $130,000.00 in total contributions during this campaign. Getting involved can be as straightforward as making a donation. Benefits you receive in thanks for your donation are shown on this "FundRazr" web site where you can make a contribution to the 21 Campaign and follow our progress. Alternately, you could send a check to the museum or use the "Donate" button on the wwfry.org web site (ideal for contributors outside of the US) - just be sure to note that your contribution is for the 21 Campaign. Make a monthly contribution of $21.00. (less than the cost of a cup of coffee each weekday!) and see #11 in steam sooner rather than later. As a sustaining donor you will receive a monthly 21 Campaign e-newsletter with links to exclusive videos documenting and explaining our progress. Signing up is easy, but not possible on this web site. Instead, visit: http://wwfry.org/ and click Donate to use PayPal to set up a recurring (monthly) payment. Important: When confirming your payment, please click "Add special instructions to recipient" and indicate that your recurring donation is for the 21 Campaign. Thank You! Regardless of how you choose to support us financially, all donations received will be reflected on this "Fundrazr" web site - so you'll know exactly how your gift is being used. Volunteer with the 21 Campaign by coming to the WW&F and taking an active role in the construction process. Alternatively, share this exciting project with friends or local businesses or make a presentation to a local historical society - the possibilities are endless. The more people that learn about this project, the more successful and exciting it will become. Contact us for more information. Please consider helping us rebuild Maine history - preserving the past for generations to come. 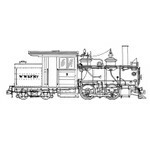 Wiscasset, Waterville & Farmington Railway Museum hasn't posted any updates yet. Run the Railroad for a Day! 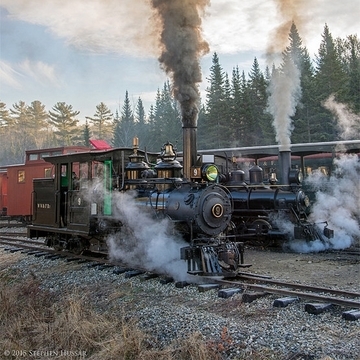 Wiscasset, Waterville & Farmington Railway Museum is managing the funds for this campaign. 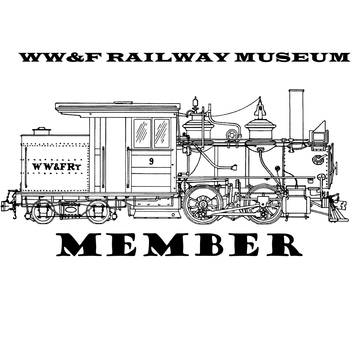 Wiscasset, Waterville & Farmington Railway Museum is a verified organization.